As a proud Miami flower delivery and arrangement service, Brickell Ave Flowers has been serving the local community for many years. This has put their team of florists into the unique position of understanding exactly what their customers want in their floral arrangements. Brickell Ave Flowers exceeds the quality of many other flower shops in the city due to this understanding of their customers. This florist also has a deep dedication to their loyal customers and they pay attention to every detail of making each bouquet. Barbara Wilson, the owner of Blooming Gardens, aims to treat every customer as if they are a member of her extended family. This warming approach has launched Blooming Gardens into one of the premier supplies of flowers in Miami, FL. Not only does Barbara love her work but she also lives for all of the stories of how happy her wedding flowers have made the guests of her customers. With a wide selection of both exotic and locally grown flowers, every couple will find a whole range of bouquets that fit into their budget. 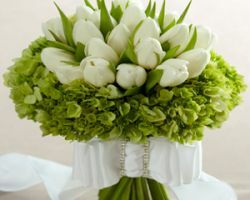 Being available for any floral request is what makes Flowers By Pouparina the go-to for many Miami couples. The flower arrangements on your wedding day are what ties the entire décor together. 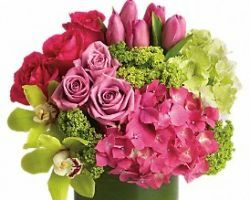 At Flowers By Pouparina they understand this importance and make sure they spend all of the time necessary dedicated to making each arrangement flawless. The dedication, quality and customer service of this Miami florist, do not come cheap but the resulting displays of color will have you convinced it was worth the price. The selection of exotic and classic blooms at American Bouquet is only one of the reasons to choose this florist for your wedding day decoration. 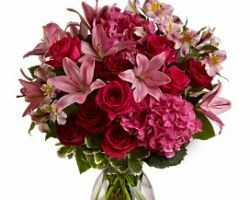 Once you have made the difficult decision of choosing which arrangements you want from their flawless range then you will have affordable flower delivery in Miami. This means that your wedding flowers will arrive at your venue in the exact style they were first arranged and looking just as beautiful, whether it is your bridal bouquets or extravagant center pieces. 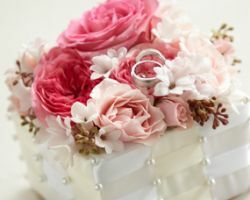 There is no better way to get wedding flowers in Miami, FL, than from a florist who understands the importance these blooms will play in your celebration. They ask every couple to schedule an appointment with them so that their expert florists can inform you of all of your choices, from exotic Spanish flowers to more classic wedding arrangements. All of their flowers are the freshest cuts and will complement your wedding style perfectly due to the expert arranging skills of Elixir Floral Design Inc.
For an event as important as a wedding you do not want to risk going to an amateur. 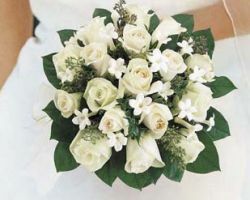 Bud Stop Florist has been a family run business since 1933 and has always upheld a professional standard of excellence. They have a team of floral specialists ready to assist you with your selection of flowers. 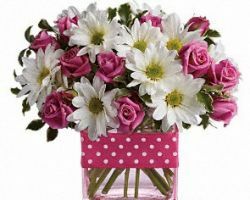 The range of blooms they have is huge and you can find exactly what you are looking for as they have everything from: the classic rose to a fancy rare flower and everything else in between.